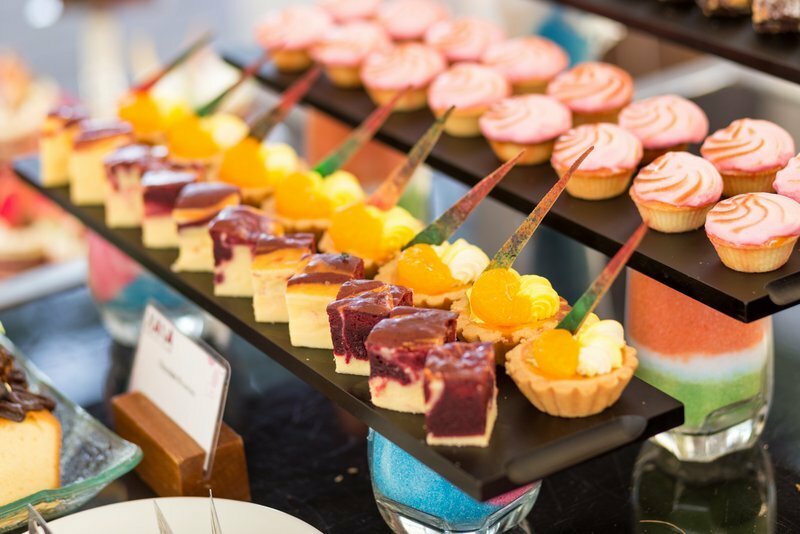 The festival is back by popular demand on April 27-29 following the success of the inaugural event in 2017 as the resort’s newest platform to raise funds for charity. 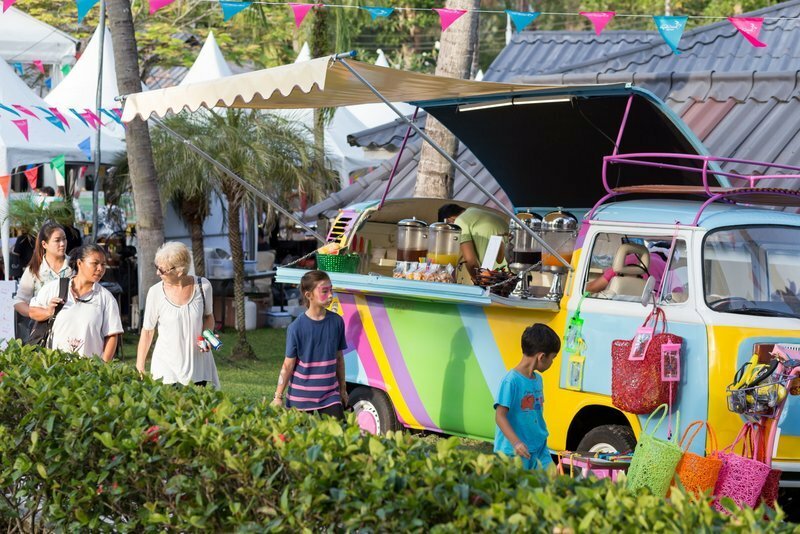 Ringing in the mood of festivities on April 27, gates will open from 4pm to the free-entry “East-Meets-West Laguna Phuket Food & Music Festival” (LPFMF) at the resort’s “Laguna Grove” by the tranquil lagoons. 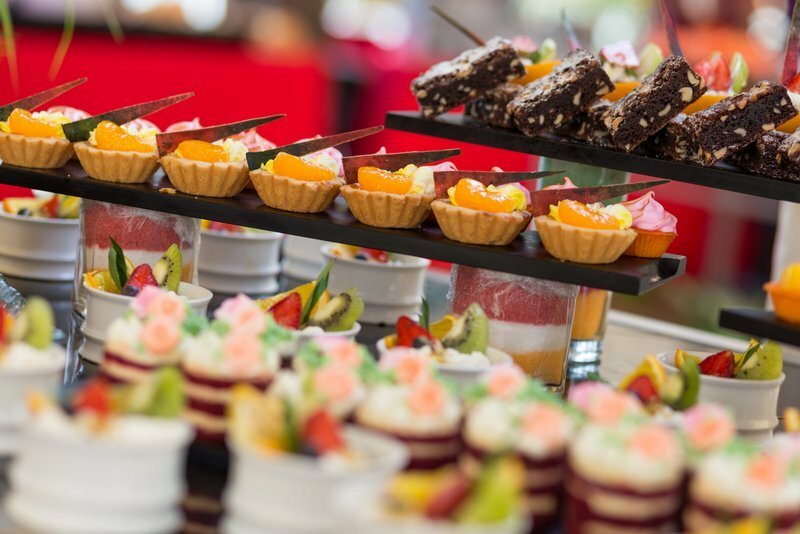 Guests and visitors can enjoy a wide range of pop-up food booths selling international and Peranakan cuisine from Phuket’s top restaurants, local vendors and Laguna Phuket resorts. 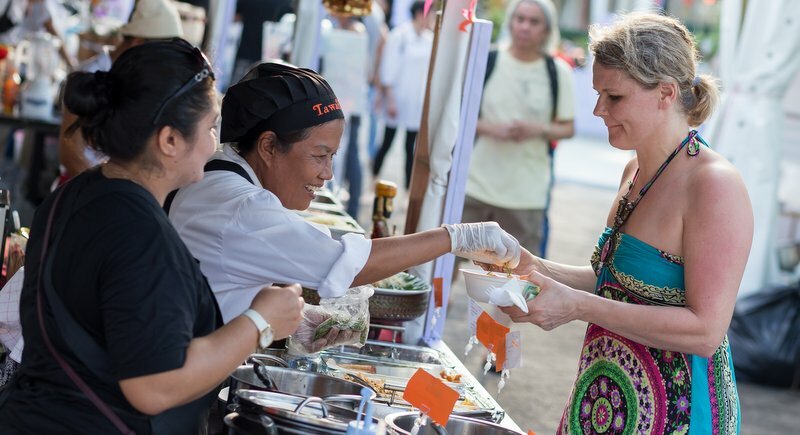 There will also be authentic Phuket fare prepared by local tourism community groups, food trucks, a dining garden and a picnic area to enjoy. 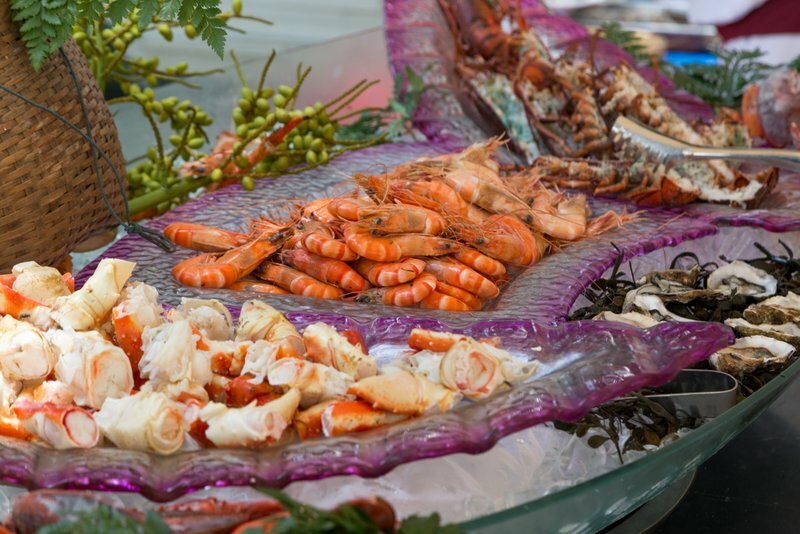 All this will be accompanied by exciting culinary shows and vibrant musical performances that showcase the best of both worlds. “Kidz Happy Hour” will also be available from 5pm-6pm in the Festival’s “Kidz Fun Zone”. 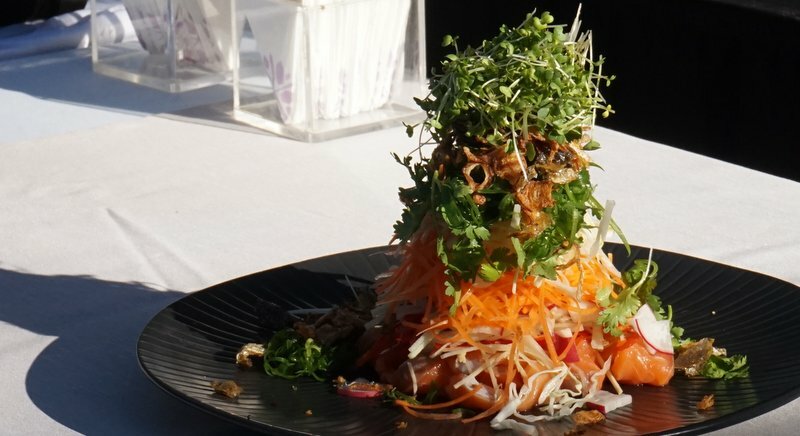 More than 30 of Phuket’s top restaurants have confirmed to showcase their selected menus over the weekend, including Blue Elephant, Kenny Rogers Roasters, Naughty Nuri’s and Floating Donut Company’s BBQ on the lagoon, to name just a few. 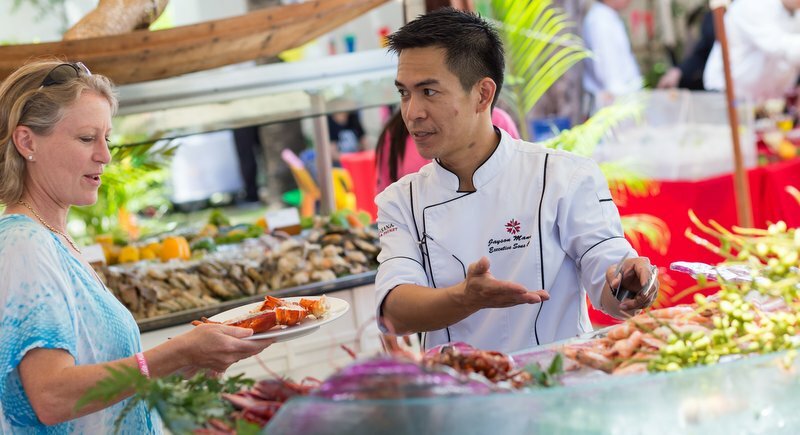 As for authentic Phuket fare, guests will enjoy a wide range of local cuisine by the Thai Peranakan Association and Phuket tourism community groups amidst many other Phuket restaurants’ food stalls. 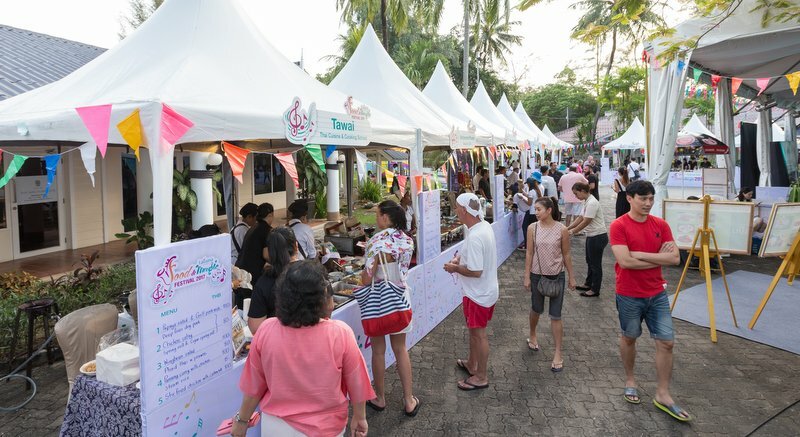 For the music element, LPFMF’s first day will coincide with the return of the “Laguna Phuket Charity Concert” (LPCC) featuring Thailand’s leading rock bands Bodyslam and Sweet Mullets and is organised in support of Phuket Panyanukul School, a school for children with special needs. The concert will take place at 8pm (gates open at 6:30pm) with 6,000 people expected. 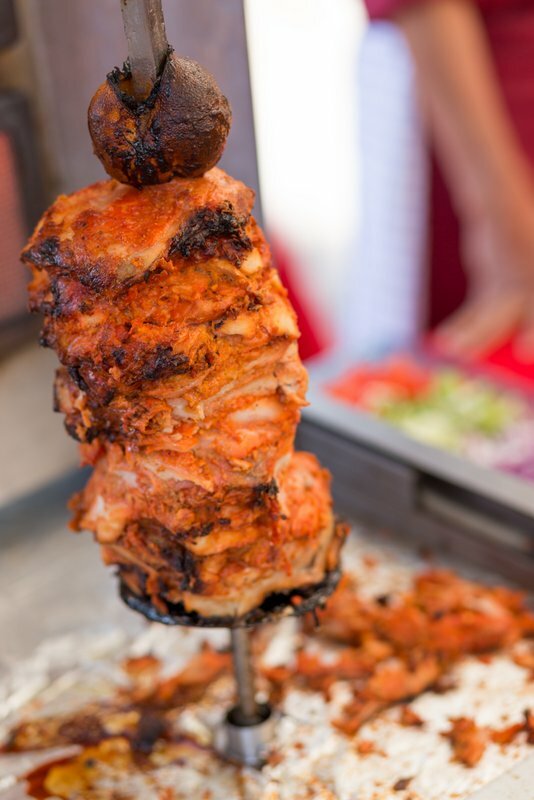 The festival will continue on April 28 and April 29 at Laguna Grove from 4pm until late, with musical acts on stage from 8pm to offer an experience like no other for all visitors. Saturday, April 28 will feature famous Russian pianist and opera singer Ivan Sharapov, followed by Phuket’s Black ‘n’ Blue band. LPFMF 2018 will conclude on Sunday, April 29 with a highlight performance at 8pm by popular Thai duo Joe & Kong and then Black ‘n’ Blue closing the night. 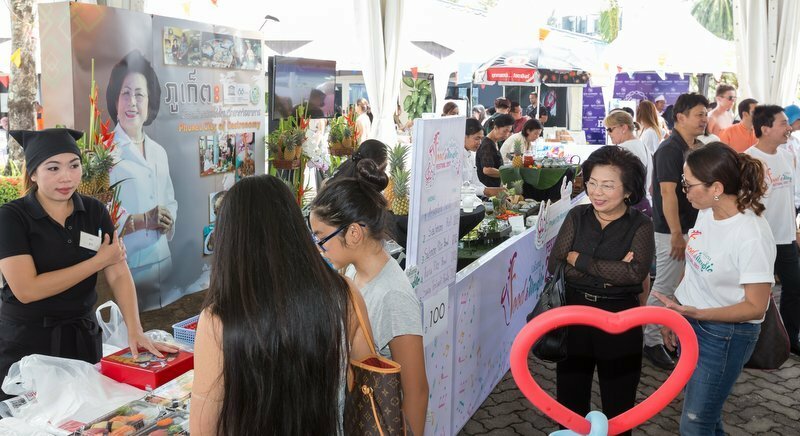 The festival is also a platform to raise funds for the Children First Fund, specially set up in 2017 in conjunction with Laguna Phuket’s 30th anniversary celebrations with an objective of “Nourishing Hearts, Inspiring Dreams” by supporting children in Phuket orphanages. 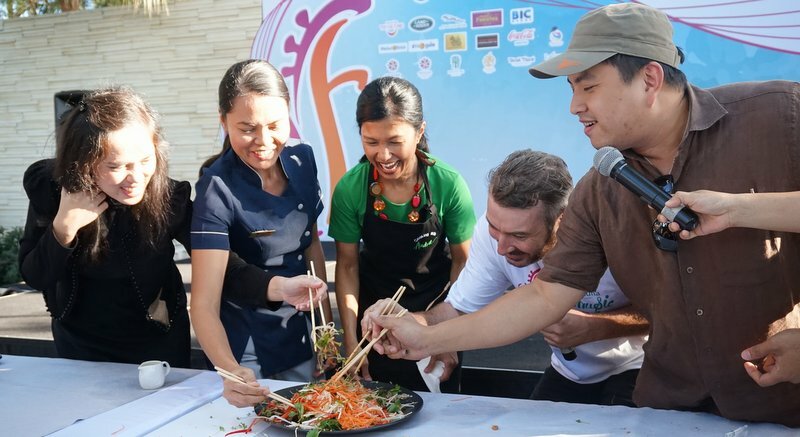 Throughout 2017 (starting in May), the Children First Fund (CFF) used funds raised from the 2017 Laguna Phuket Food & Music Festival and other fundraising activities to enable the delivery of sustenance to seven orphanages in Phuket, which house more than 400 orphans and underprivileged children, on a monthly basis. Proceeds from the festival and highlight charity concert of the night will go to the Children First Fund to continue supporting these seven orphanages in Phuket this year. Charity concert tickets (April 27) and VIP-zone tickets for April 28 and April 29, priced at B400 and B500, available at Central Festival Phuket, Limelight Avenue, Phuket Indy Market in Phuket Town and Laguna Tours Office in Canal Village or online at: lagunaphuket.com/foodandmusicfestival. For more information, please visit the website or call 076 362 300 ext 1404 or email: ticket@lagunaphuket.com and follow Facebook/LagunaPhuketResort. Khao Phuket and Live 89.5 radio are proud to sponsor this event.